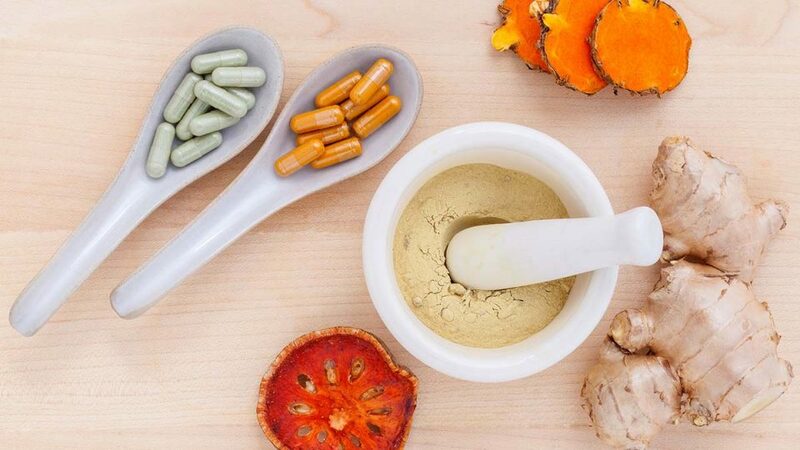 Many ugly malformations of scar tissues or prolonged and complicated recoveries from surgical procedures can be avoided by the simple measure of taking the right vitamins. This is not new knowledge however. As long ago as 1937, Harvard Medical School surgeons observed the importance of vitamin C for wound healing in patients recovering from surgeries . These physicians noted that “spontaneous breakdown of a surgical wound in the absence of infection occurs with relative frequency in patients with the cachexia of cancer, in debilitated individuals, and in young patients; notably those who have some congenital anomaly of the gastro-intestinal tract.” Therefore, their recommendation for the administration of vitamin C was based on their subsequent observations that wound healing becomes faulty with low vitamin C, and that vitamin C levels were low in their patients. While such information remains pertinent today, it may be omitted in medical practice as routine protocols take precedent in the clinic. Recently we have received reports from nurses and practitioners whose patients’ wounds will not heal despite the lack of complications. These practitioners even speculated that it may be a vitamin C deficiency or other malnutrition that is responsible for the slow wound healing. However, they admitted that some of their patients, frightened by the media vitamin scares, were hesitant to take supplements without scientific evidence of their beneficial effects. Therefore, it should benefit medical practitioners, their patients and the public at large to revisit these dusty old papers and new data explaining the role of vitamin C and nutrition in wound healing. When wounds heal, the body’s metabolic requirements increase. In the first few days following a major injury or surgery, the body’s vitamin C may fall to dramatically low levels. 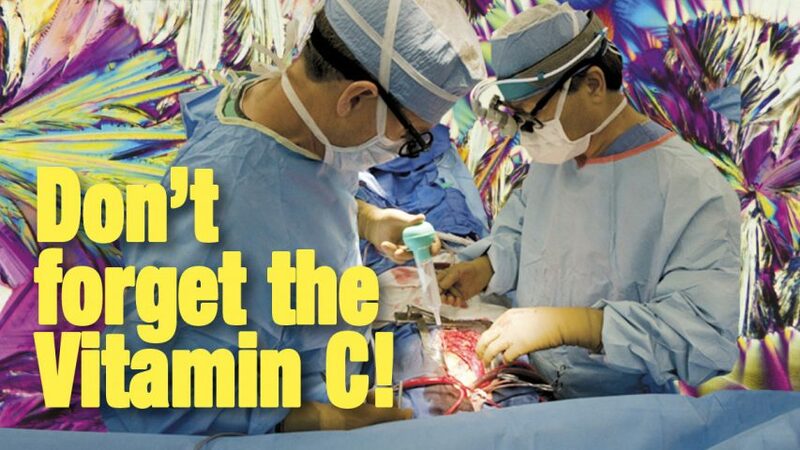 In one hospital study, the vitamin C levels of critically injured patients were uniformly at severe scurvy levels . Only high doses (multi-gram) of vitamin C, but not milligram amounts, were effective in restoring blood levels for this vitamin back to normal. Why is it so important to re-supplement vitamin C? Without an additional supply of vitamin C, the formation of new replacement connective tissue between cells is hindered and the new tissue formed to close the wound may be fragile, defective, or missing altogether. The majority of this connective tissue is collagen, which is comprised of the amino acids lysine, proline, and glycine assembled together in molecular cables and sheets. These collagen cables and sheets are the structural beams, walls, and scaffolding of the body’s cells that must be repaired and rebuilt in the case of an injury. Even the seemingly inorganic bones of the body are comprised of a finely organized structure of collagen cables between which mineral is laid down. The enzymes critical to forming these cables of collagen between our cells cannot function without its co-factor vitamin C .
Likewise, lysine and proline are necessary structural elements of collagen that are required to a higher degree at the site of wound healing. Lysine is an essential amino acid that humans cannot produce and it must be supplied by the diet. While humans can manufacture their own proline, the rate at which they make it may decrease under illness. A wound patient may utilize as much as 100 grams of protein a day, and their requirements for supplemental amino acids such as lysine and proline may be very high . It follows that a deficiency of lysine or proline would also prevent proper wound healing as these are the raw materials for making connective tissue. Not only are vitamin C, lysine, and proline essential to the rebuilding of damaged tissues, but also a variety of macro- and micro-nutrients that supply bio-energy, building blocks, and enzymatic cofactors needed by the cells to maintain all their normal tasks. As the rebuilding process involves the immune system to clear out damaged debris and infectious agents, new cells divide and move in to replace lost cells. All cells then work together in forming a bed of collagen, fibronectin, laminin, proteoglycans, and other extracellular matrix molecules that give a functional form and structure, without which the tissues of the body would disintegrate. All of these processes involve an intricate cascade of interdependent biochemical events within each and every cell, and each of these processes has a different nutritional requirement. Although there is not much economic interest in funding studies with micronutrients in wound healing, there is enough clinical evidence in support of micronutrient supplementation. The clinical study developed and sponsored by Dr Rath Research Institute demonstrated that daily supplementation with the collagen building nutrients such as vitamin C, lysine and proline, significantly accelerated healing of bone fractures . This study confirmed the critical role of bone collagen for faster bone healing since these patients were not taking calcium supplements, commonly recommended in bone health. Healthy bone metabolism requires both collagen building micronutrients and minerals. Also, our laboratory data have proven that synergy of vitamin C, lysine, proline, green tea extract, arginine and other micronutrients aids in healing skin wounds and reduces scar tissue (unpublished). Therefore, the keen observation of today’s bedside caregivers that wounds may be slow to heal because of micronutrient deficiencies and malnutrition is correct and applies not only to patients in developing countries, but to patients in hospitals in Berlin, Paris, Warsaw, or San Francisco. Micronutrients deficiencies are still common and affect both young and old. Therefore, a simple measure like taking nutritional supplements can help in mending our cuts, wounds, burns, broken bones and surgically damaged tissues without health risks. At what cost? Less than the price of the cup of coffee you buy at Starbucks every day. Lanman, T.H., Ingalls, T.H. (1937) Vitamin C deficiency and wound healing: an experimental and clinical study. Annals of Surgery 105(4): 616-625. Long, C.L., Maull K.I., et al. (2003) Ascorbic acid dynamics in the seriously ill and injured. J Surg Res 109(2): 144-148. Berg, R.A., Steinmann, B., et al. (1983) Ascorbate deficiency results in decreased collagen production: under-hydroxylation of proline leads to increased intracellular degradation. Arch Biochem Biophys 226(2): 681-686. J. Jamdar, B.Rao, et al (2004), Reduction in Tibial Shaft Fracture Healing Time with Essential Nutrient Supplementation Containing Ascorbic Acid, Lysine and Proline, Journal of Alternative and Complementary Medicine, 10, 915-916.